One of the most important days of your relationship is the day that you get down on one knee and ask the love of your life to be yours forever. 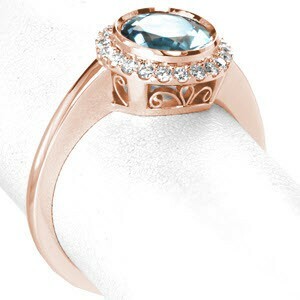 To craft a perfect, epic proposal, you need to find that one custom rose gold engagement ring in Portland and the most fitting location for you and your beloved. 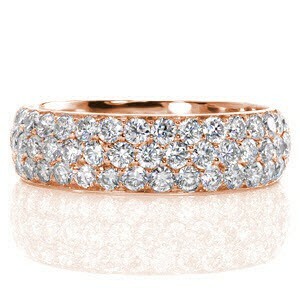 Knox Jewelers has a wide variety of gorgeous, unique rings for you to choose from. The once-in-a-lifetime place for your proposal is the one that best suits your personalities and your history together. Here are a few suggestions to get you started. Hidden away behind the St. Johns Bridge is the enchanting Cathedral Park. With walking trails, beautiful scenery, and the iconic arches of the bridge, Cathedral Park is extraordinary. Take your beloved for a stroll along the trails where you will see flowers, trees, and a lovely view of the river. 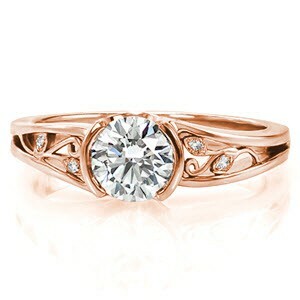 Then, as you walk below the bridge’s stunning gothic arches, you can take your beloved by the hand and place the dazzling rose gold halo engagement ring from Knox Jewelers onto the finger of the one you love and ask if the two of you can continue on your grand adventure through life together as spouses. You could hire a photographer to help you capture the beautiful moment in such a unique location. You could even return to the park for an incredible outdoor wedding. For a scenic and adventurous proposal, take your sweetheart to the phenomenal Multnomah Falls within the Columbia River Gorge National Scenic Area. A popular natural feature, the falls are accessible to anyone. Whether you take in the falls from the viewing platform below, hike to the Benson Footbridge to see it up close, or hike all the way to the top of Oregon’s tallest waterfall, Multnomah Falls is a breathtaking natural feature. 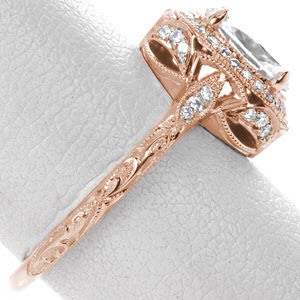 With the sound of the water in the background and the smell of the wilderness around you, your beloved will be pleasantly surprised when you present the Knox Jewelers vintage rose gold engagement ring as it sparkles more than the droplets cascading down the falls. It will be a moment that the two of you will remember forever. If what you are looking for is something more lavish and decadent, then a boutique hotel is the ideal location for your proposal. Downtown Portland’s Hotel deLuxe has everything you need for a luxurious weekend getaway with the one you love. They have quality rooms and suites, an elaborate classic Hollywood, Art Deco style and theme, fine dining, and a sophisticated cocktail lounge. 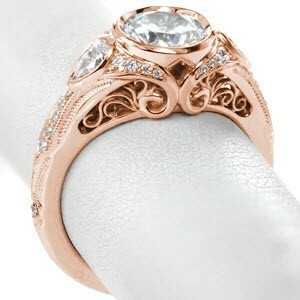 Immerse your beloved into a world of glamor and style. 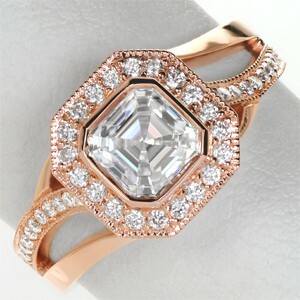 When the moment comes when you are ready to ask your darling to be your shining star, that is when you bring out the dazzling custom rose gold engagement ring from Knox Jewelers. 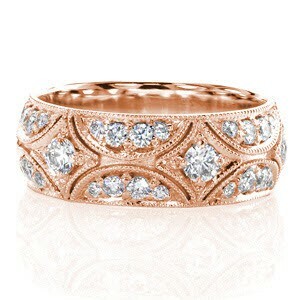 It is sure to be one of the most glamorous and memorable moments of your lives. Portland has no shortage of nature’s grandeur and Forest Park, the city’s urban forest reserve, is an excellent journey into the heart of nature not far from Portland. This expansive park boasts miles of trails, tall trees, gorgeous scenery, and breathtaking views of the city below. Satisfy the nature lover in both of your hearts as you venture through this magnificent, lush forest. You and your beloved can stop among the trees or on one of the vistas overlooking the city. There you can get down on one knee and ask the most important question in your relationship. 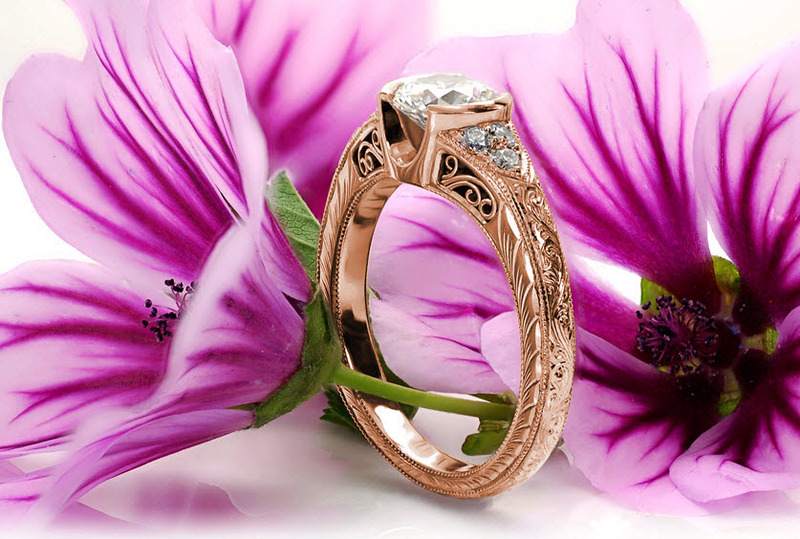 Give your beloved the beautiful Knox Jewelers rose gold engagement ring that you have chosen specially for this occasion, and let your love shine on in this beautiful paradise.